This year’s Waco Doll and Train Show will have the largest ever train show display. There will be more than 3,400 square feet of scale modular layouts in G, O, HO, N, and Z. 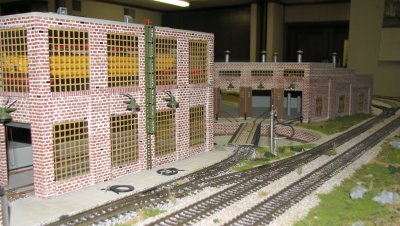 Come see CentraMod’s new 8’x48′ HO Scale modular layout. CentraMod’s proven 12’x38′ O Scale modular layout will also be on display. Also on display will be a new 24’x48′ G Scale modular layout. Participating from out of town will be the AustNtrak Model Railroad Club from Austin, Texas and Northwest Crossing from Houston, Texas. They will combine their modules to create a 20’x50′ N Scale layout based on the N-Trak standard. 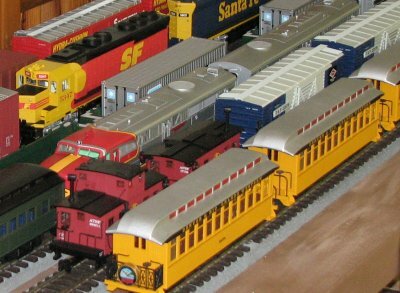 Z-Bend/3545 will visit from Houston & San Antonio to setup a 20’x20′ Z Scale layout based on the Z-Bend standard. They will also be setting up an 2’x10′ N Scale layout based on the T-Trak standard. 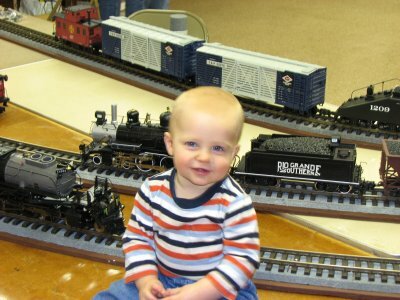 The train show will be open on Saturday, January 5th from 10 AM – 4 PM and again on Sunday, January 6th from 11 AM – 4 PM at the Heart of Texas Fairgrounds located at 4601 Bosque Blvd, Waco, Texas. Adult admission is $5 and children under 12 are $2. The Doll show is only on Saturday, January 5th. Come see all the action!